Question: What is ISSN of IJRASET? Question: How do I submit my paper to IJRASET? Question: What is the Impact Factor of IJRASET? Question: What is the Thomson Reuters Researcher ID of IJRASET? Question: When will I get acknowledgement of Paper Submission? Ans: Immediately, you will get the mail with paper id. Question: When can I expect the paper acceptance mail? Ans: You will get the Notification of acceptance within 48 hours of paper submission. Question: What should I do in the case of delay? Ans: We will try to resolve your issue as per promised time. You can send SMS or Whatsapp on 08813907089 in the case of any issue. Question: How much time is required for Publication of Paper after paying the publication of fee? Ans: We will publish your paper within 48 hours after receiving the Copyright form and Publication Fee. Question: How can I check the status of my Paper? Question: How will I came to know about the Publication of my paper? Ans: You will get a mail from IJRASET Team. Question: How Can I download my certificates and paper? Question: Will you provide Hard Copies to all Authors? Ans: Yes, we do provide the Hard Copies to all authors on their postal address. Question: Is there any extra charges for Soft Copy of Certificates, Hard Copy of Certificates and Courier? Ans:We do not charge any extra amount for Soft Copy of Certificates but for Hard Copy you need to pay Rs. 150 Extra as Courier Charges. Question: Do you provides the Crossref DOI? Question: What is CCavenue and Payu Money and which one I need to choose? Ans: CCavenue and Payu Money are both our payment gateway. They collect the payment from you and deposit to our bank account. You can choose anyone to do the payment. Question: How many Authors are allowed in a Single Paper? Ans: You can publish the paper with any number of the authors. Rs. 1250 and Rs. 1350 is the fee upto 05 Authors. You need to pay Rs. 100 extra per author after 05 authors. Question: Can I call on IJRASET helpline number? Ans: Yes, you can call us but only for the Emergency Issues. 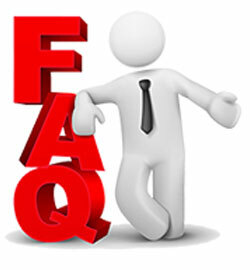 You are advised to read FAQâ€™s or you can send us the SMS/Whatsapp on our Mobile number: 8813907089. Our team will try to resolve your query asap. Question: Is there any particular format of IJRASET? Question: Can I know about the IJRASET Indexing? Ans: Yes, you can visit our website for more details about the Indexing.